Bangkok, Thailand, 1 July 2015 — Almost every day of the year the luggage carousels at international airport terminals in Bangkok, Phuket, Singapore, Ho Chi Minh City and Kuala Lumpur disgorge hundreds of sets of golf clubs owned by amateur golfers from every corner of the globe. A million golf bags will have passed through airports in these and other south-east Asian (SEA) cities by year’s end, their owners participating in a tourism sector that has been experiencing double digit growth for the past five years. Visiting golfers to SEA come in groups, as couples, members of home-based golf clubs, as part of corporate incentive programs and even alone to discover and, increasingly, rediscover the friendliest and most cost-effective golf on the planet. Chances are one of seven sales and marketing consultants at Bangkok-based Golfasian will have co-ordinated these trips; a diverse group of white guys selling and delivering bucket-list golf holiday experiences to people from every corner of the globe. They include an American chemical engineer who came to Thailand to retire but found himself operating the most successful inbound golf tourism company in Asia, a former Swiss PGA golf champion who speaks four languages, an Australian PGA professional who quit teaching golf to sell golf tourism, a certified corporate accountant from Ohio, golf addicts from Yorkshire and Sydney and a German national with second-to-none marketing credentials. Golfasian’s owner, Mark Siegel, 55, has spent the past decade in the Kingdom building up a business he helped fund without intending to becoming actively involved in its day-to-day operations. But when his business partner decided to go and play golf, Siegel took the helm of the business and has grown it into the market leader in Asia. As a member of several clubs in and near the Thai capital, Siegel reckons he has played more than a third of the estimated 600 courses in south-east Asia. Last year, Golfasian handled 14,780 golf tourists who played almost 75,000 rounds. After 25 years in the semiconductor industry, Mark Siegel has not only built his own business, but has played a major role in growing golf tourism in other ways. He helped form Golf In A Kingdom (The Thai Golf Experience), the largest organisation of its kind in Asia. 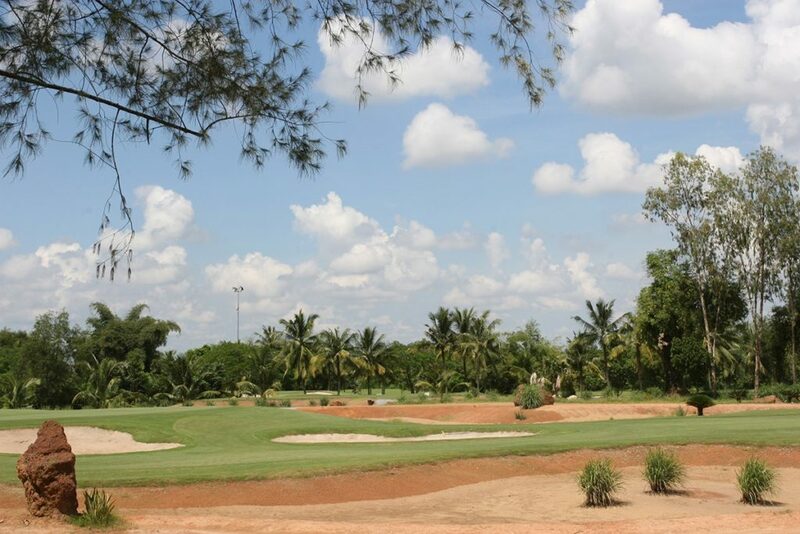 He is co-chairman of a similar group, Golf Coast Vietnam, is an Asian golf course rater for several industry groups and operates the most comprehensive website on golf in Asia – www.golfasian.com as well as numerous other websites that promote inbound golf tourism in Asia. Among Golfasian’s international sales managers is Marco Scopetta, a former Swiss PGA champion who played in the World Cup and later served as general secretary of the Swiss PGA. He moved to Thailand in 2008 and has been based in Bangkok since 2011. Most of Marco’s clients come from Europe, including his his home country, France and Germany. 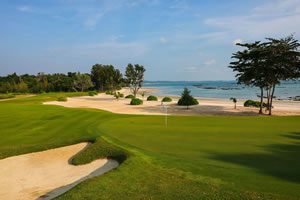 Marco says the weather, great value for money and the friendliest caddies in Asia make Thailand a perfect golf holiday destination. “People repeatedly come back to Thailand to enjoy the true meaning of a holiday,” he notes. Australian PGA member, Paul Tudor, hails from Melbourne and has been in Asia since he went to Singapore as a golf instructor in 2008. Paul, who lives in Pattaya, sells golf holidays to Malaysia, Singapore, Vietnam and Thailand. 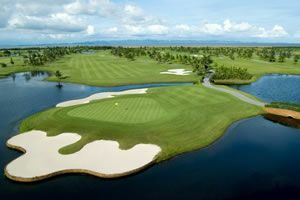 He says excellent golf courses, value for money, the caddie experience, cultural and sightseeing options are among the main attractions for international golf tourists to Thailand. Ohio native, Jim Mullet, is a certified accountant with 26 years in corporate management positions including working with media giant, Time Warner. He moved to Asia in 2003, immediately joined Golfasian and has become the company’s northern Thailand specialist. “Chiang Mai offers unbeatable value for money, a more relaxed and friendly attitude and is ‘more Thai’ than some other areas,” Jim says. He believes caddies are a big part of what makes golf in Asia unique. “In the US I always walked and carried my own bag, as only a small number of high-end private clubs like Pebble Beach and Pinehurst had caddies. If you play alone, you are never really alone here. Caddies’ ability to read greens and speak English varies, but even inexperienced caddies are good fun and have a sense of humor. They don’t care how well or badly you play, they just want to see you happy and having fun, because then they will have fun too. Golf addict Ian Morgan comes from Yorkshire and joined Golfasian in 2011 after working for a hotel in Phuket. As the company’s general manager for Hua Hin and Phuket, he says Hua Hin has become the most popular destination due its superb climate, good value and proximity of courses to town. He says the whole Thailand golf experience is hard to beat. “The courses may not be the best in the world, but great weather, good caddies and every round of golf is a lovely experience. Australian golf tourism specialist, Mark Penfold, spent most of his adult life in the golf industry before starting his own golf tour company. As director of golf events for Golfasian, Mark is responsible for larger group events and Asia Golf Week tournaments held throughout the year. “Currently we have 10 events per year and will be increasing that to 12 with the inclusions of Bali and Malaysia from 2016,” he explains. Mark says service in Asia is far better than in western countries – taking clubs out of the boot of the car on arrival, locker room and practice facilities, caddies, conditioning of courses are just some examples. Golfasian’s marketing expert, Pascal Orczech is a native of Germany who came to Taiwan in 1997 and attended an American high-school. He then taught English in Taiwan for two years, and subsequently secured a Bachelor of Business Administration in marketing from a university in Bangkok. After working in a travel company and his own business, he has been with Golfasian for six years. As director of business development, Pascal has overseen a lead-generation business increase of more than 320 percent using online and offline strategies.